Homework and Research Sites for Kids and Teens. The top sites are for Michigan children and teens. However, the sites listed further down the page are accessible to everyone! Explore the Arts, art for kids by kids, fun for younger children, games and entertainment, museums, music, and sports. ALA Great websites for games and entertainment. Explore great reference sites, library and school sites, and Look It Up! Explore cultures of the world, geography and maps, news and current events, peace and conflict studies, politics and government, and religions of the world. The College Board is a mission-driven not-for-profit organization that connects students to college success and opportunity. Students and their parents will find information on the SAT, PSAT/NMSQT, CLEP, and BigFuture link where students can find, apply, afford, and enroll in a college that is right for them with this step-by-step guide. State of Michigan Student Aid website for high school students and their parents, which features information on saving and planning, scholarships and grants, student loans, and outreach services which includes financial education, publications, videos, and newsletters. Authors & Illustrators, expanding the classics, favorite children's stories, language learning, learning to read, and writing by children. Explore biographies, U.S. History - General, U.S. History - Pre-Colonial-1865, U.S. History- Post Civil War, and World History. 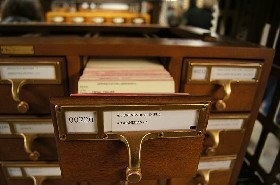 A comprehensive website where you can find links to guides and indexes to Michigan; online collections which feature a treasure trove of records, photographs, and maps. 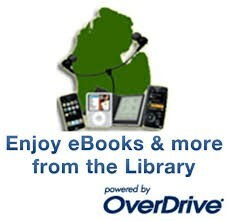 Visit this section for death records, state census records, and much more; and Michigan history! bioGraphic is a multimedia magazine featuring beautiful and surprising stories about nature and sustainability by the California Academy of Sciences. Free online courses from the world's best universities. Space and astronomy news from Fraser Cain, publisher of Universe Today and co-host of Astronomy Cast. Free online learning for everyone including courses in Math by Subject and Grades K-High School, Science & Engineering, Computing, Arts & Humanities, Economics & Finance, and Test Prep including SAT, MCAT, GMAT, IIT, JEE, NCLEX-RN. Unlocking Knowledge, MIT OpenCourseWare (OCW) is a web-based publication of virtually all MIT course content. OCW is open and available to the world and is a permanent MIT activity. Explore Computers & Technology, and mathematics. Explore the world of animals, dinosaurs, and visit cool zoo and aquariums! Nat Geo Kids inspires young adventurers to explore the world through the website, including fun learning games. Explore astronomy & space, biology, chemistry & physics, general science, geology, science experiments, and weather & environment. Easy to follow and understand guide to particle physics.